A classic shape lends this shade an architectural simplicity. In a beige faux leather with a fabric lining. Spider fitting. 7 3/4" across the top x 18" across the bottom x 5 3/4" deep at the top, 9" deep at the bottom x 11" on the slant x 9 1/2" high. Beige faux leather; fabric lining inside. It looks like a perfect match to replace a damaged lamp shade that I have. I'm replacing a shade and this one was very close in size. I need to replace a lamp shade similar to this one that I lost when my home was damaged by Hurricane Harvey. Statue Lamp in a hunting cabin. Need replacement for floor lamp with two bulbs. Rectangular 10x22? BEST ANSWER: Hi, unfortunately we do not have a shade in the dimensions provided. Do you have a store in Duluth, MN? BEST ANSWER: Hi, unfortunately we do not have a showroom in MN. What size bulb should be with this shade? BEST ANSWER: Hi - up to 100 watts and LED bulbs are highly recommended to keep your shade from drying out. But, also be sure to check the maximum wattage of your lamp. 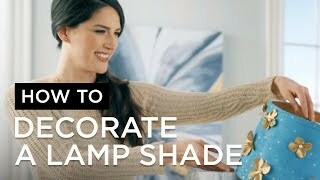 Does this size lampshade come in a beige fabric instead of faux leather?? BEST ANSWER: Hi Diane - I am sorry, there are no other options available for this collection. 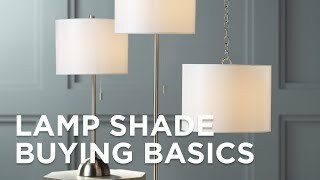 I need these shades to read by, on floor lamps, Do they shine a soft or medium light to the room? BEST ANSWER: I would say that they shine more soft than medium light which is what I wanted as they are in the living room. I bought this shade as a replacement, because my lamp burned holes into my original one. It was my own fault, I used bulbs that were too big. The shade is fine. It's obviously faux leather, but hey, at least no animal died for it. I inherited two identical antique ruby glass lamp bases from my mother-in-law. She had used white silk shades on both lamps but I didn't want to spend about $100 per shade to replace the shades with silk. I also wanted to update the look of the lamps. I bought this faux leather rectangular footprint shade so one lamp would fit on top of a dropfront desk. This shade worked perfectly because it wasn't too deep for the 9 inch section of the desk. The faux leather looks great but it is rather fragile, unlike real leather. Only time will tell how long it will last, but it really does look nice. I have had many compliments from everyone . In fact the shade is the part they admire as giving an expensive look. The Faux Leather Lamp Shade is just perfect for the lamp I have used it on-- shape, size, texture, and warmth of light . Thank you very much for the speedy and accurate delivery time. I didn't have to worry. A great way to give a lamp a rustic look. Good style for the price. Bought two for bedside table lamps. They look much more expensive than what I paid for them. Excellent buy. The lamp shades were just as pictured and I love them! I love the look of this shade. Nice accent piece! The lamp shade was perfect for your house and the Lamps Plus employees were very helpful. An alternative to solid whitethis oyster silk hardback empire lamp shade brings a beautiful designer look to any room.